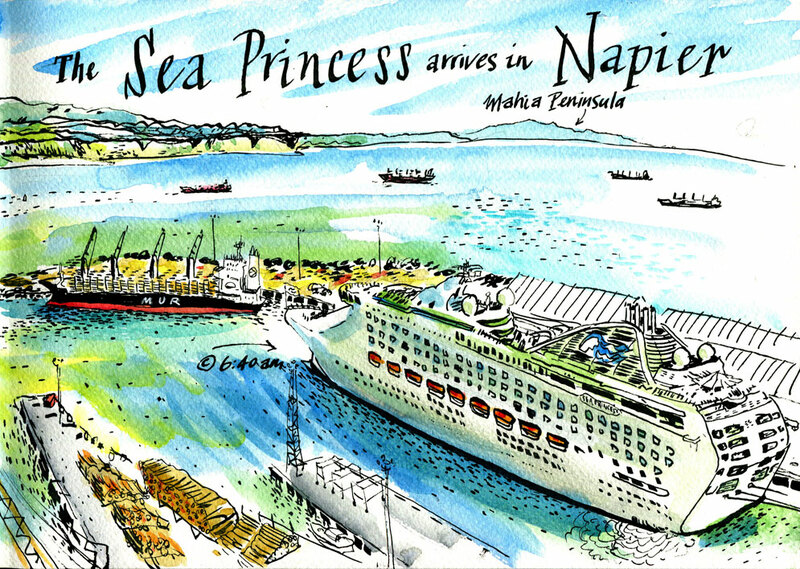 An early morning walk over the Napier hills got me to the lookout on Bluff Hill at 6am – just in time to catch the arrival of the Sea Princess on a beautiful early morning as the sun rose over the Hawkes Bay. The forecast for later in the day was 36C so sketching it in the early morning was definitely the way to go. It's cruise season down here, so 1 or 2 liners are in port each day. They always look incongruous in a port that usually shifts containers and logs.